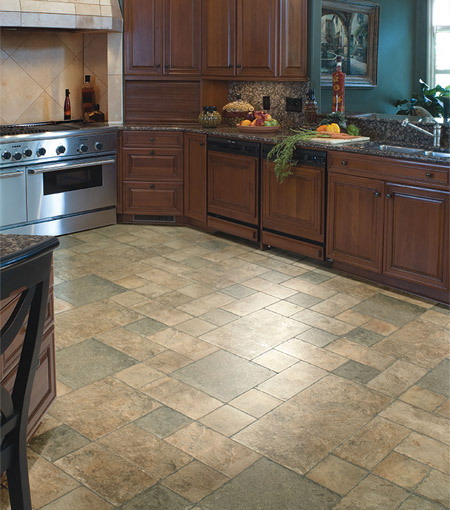 With innovative technologies such as Embossed In Register®, MicroBevel®, Interplank® and Multi-Direction Design™ our laminate products resemble the true nature of ceramic, wood and stone. Whether it is the unique grain of an exotic wood or an intricate pattern found in tumbled stone, our textures capture even the most subtle variations creating authenticity you can see and feel. By nature laminate floors offer do-it-yourselfers and professionals the ability to install a new floor without the need of glue or nails. Add to that our one of the kind Wide Plank System and you have a floor that allows for a faster, more stable installation with fewer joints. Faus Laminate Floors are certified to meet Indoor Air Quality Standards set forth by Floor Score including all requirements for school classrooms and private office installations.